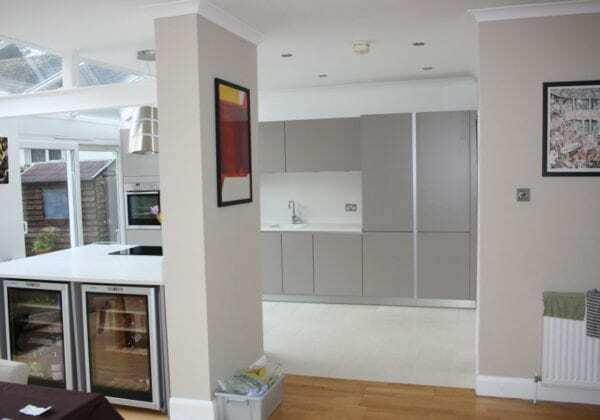 Next125 Handleless Truffle brown matt units with stainless steel effect plinths and griprails. 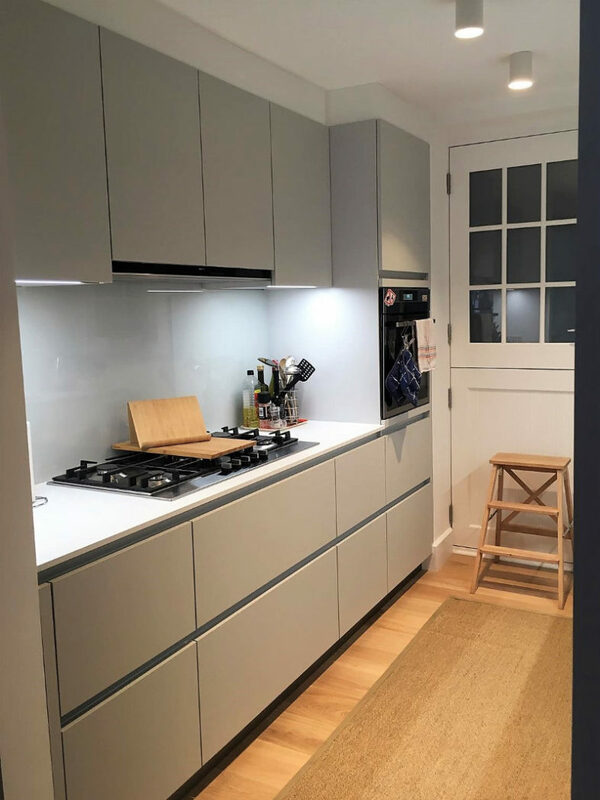 30mm Linen Corian worktops with Blanco square underlights. 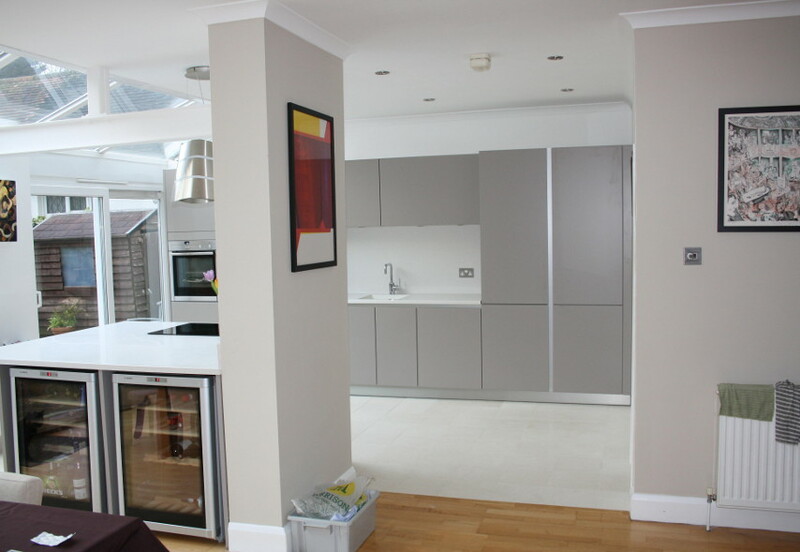 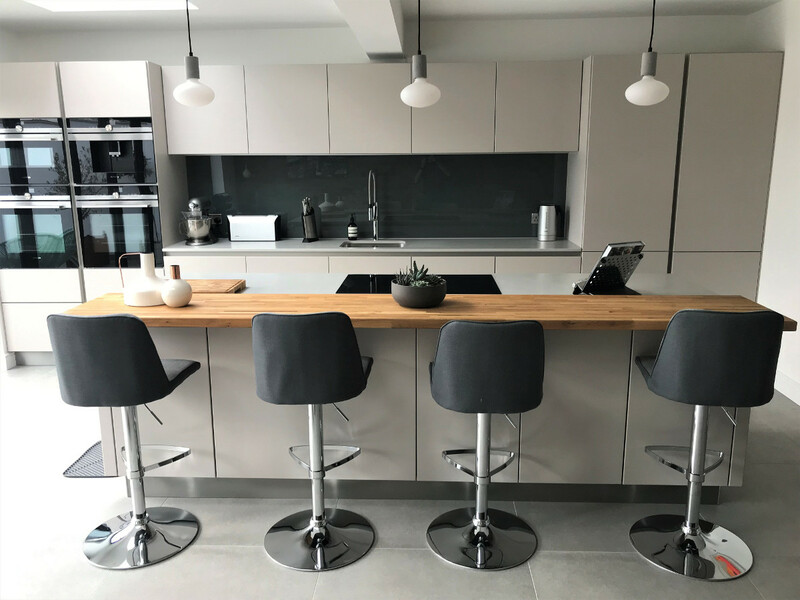 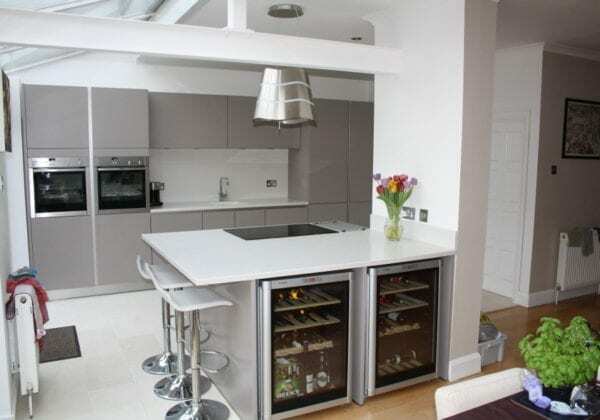 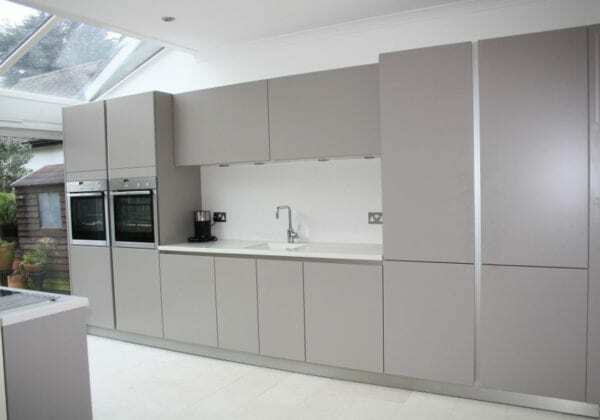 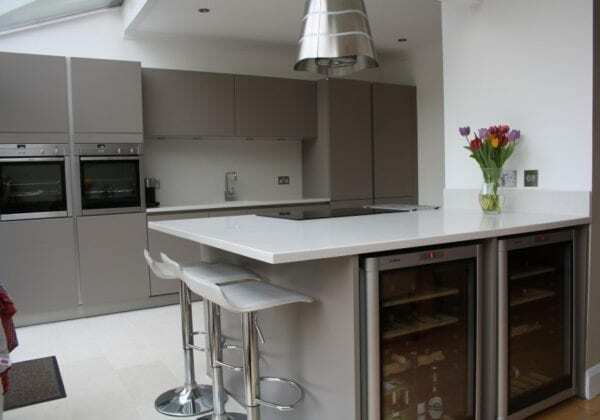 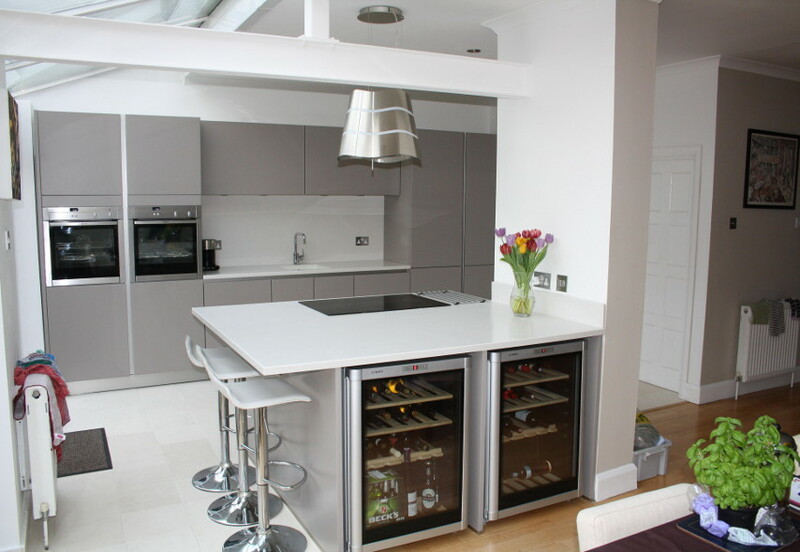 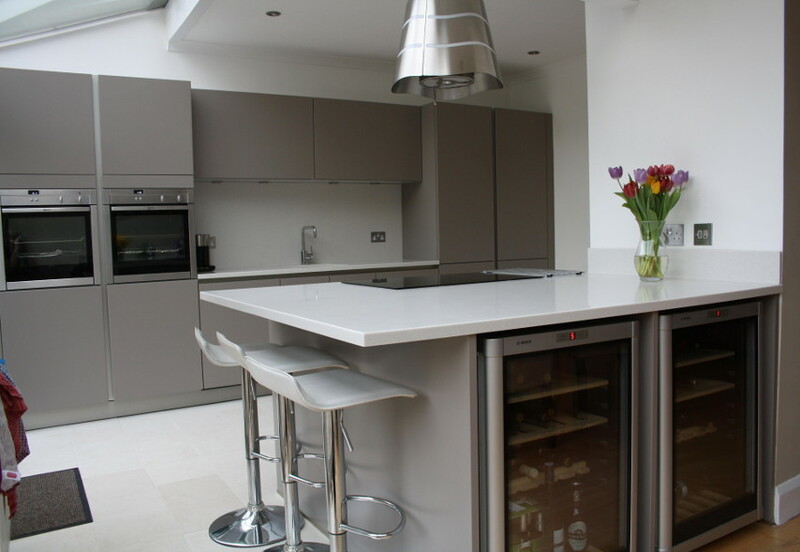 Two built in Neff ovens in the tall units with vertical griprails and two 60cm wine coolers under island worktop with a 150cm breakfast bar at the end.